Home » Health » life » While he and his wife were expecting their first child, he took his own life. But she then made a decision that turned the tragedy into a new hope. 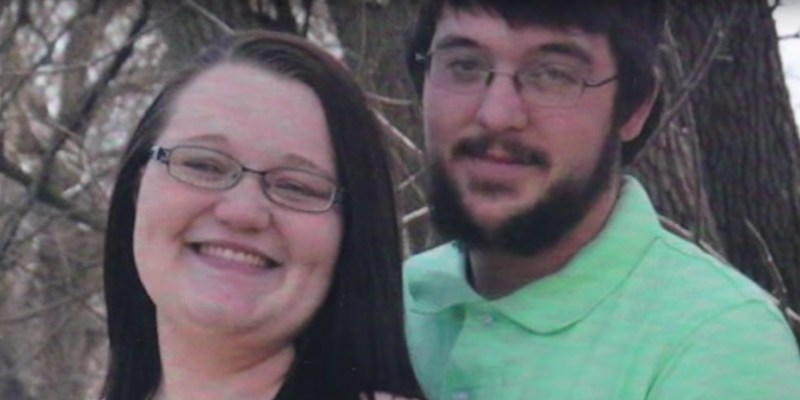 While he and his wife were expecting their first child, he took his own life. But she then made a decision that turned the tragedy into a new hope. They never met in life, but Andy Sandness and Calen Ross shared some things in common, for better or for worse. And their fates became entwined in an extraordinary way. They both loved the wilderness, dogs, fishing, and hunting. But both men struggled with their demons. Andy, pictured above, and Calen were both depressive and as early as 21, they wanted to end their own lives. Although Calen and his wife Lilly were expecting their first child, he committed suicide last year by shooting himself. Andy also intended to do this but his suicide attempt took an unexpected turn. A few days before Christmas in 2006, the 32-year-old shot himself — but survived. Only, half his face was gone. He lost his nose and nearly all of his jaw. 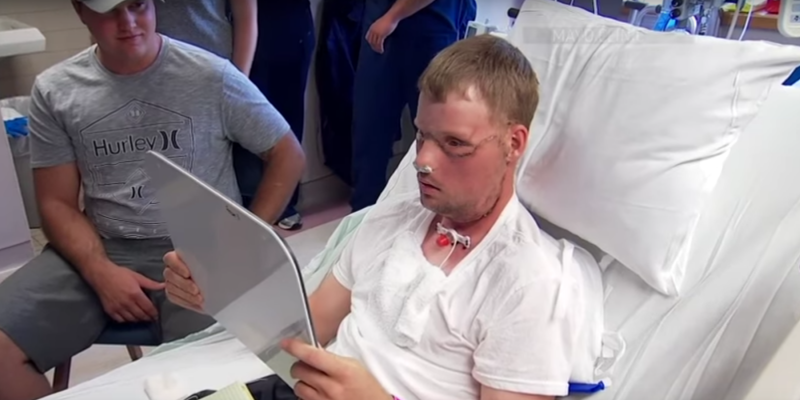 After eight reconstructive surgeries, Andy had been restored enough to leave the hospital. 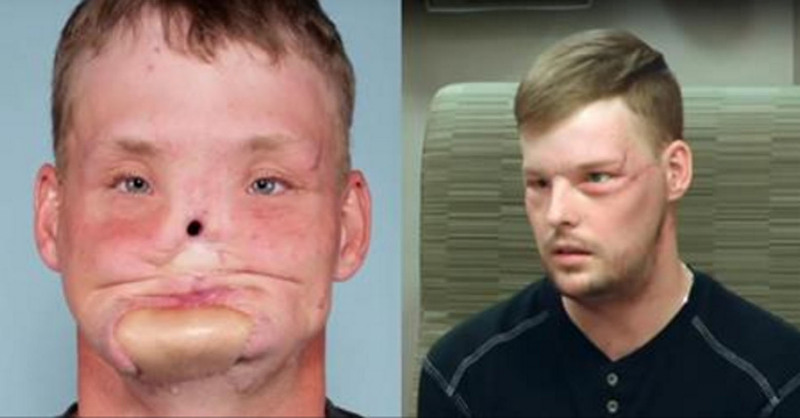 The hole where his nose had been was now covered by a badly-fitted prosthetic. All that was left of his mouth was a space about the size of a quarter. Because of his appearance Andy avoided going out into public. He especially shunned children, because he didn't want to scare them — or be laughed at. He retreated deeper into the isolation of the wild. 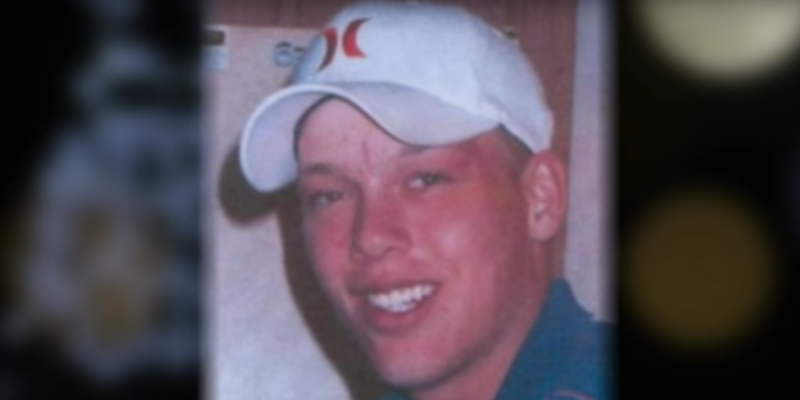 But then Calen made the fateful choice to end his life, a decade after Andy had tried to. And here, strangely, a new hope appeared: Calen was an organ donor and Andy was waiting for a face transplant. With Lilly's permission, Andy applied for the operation. 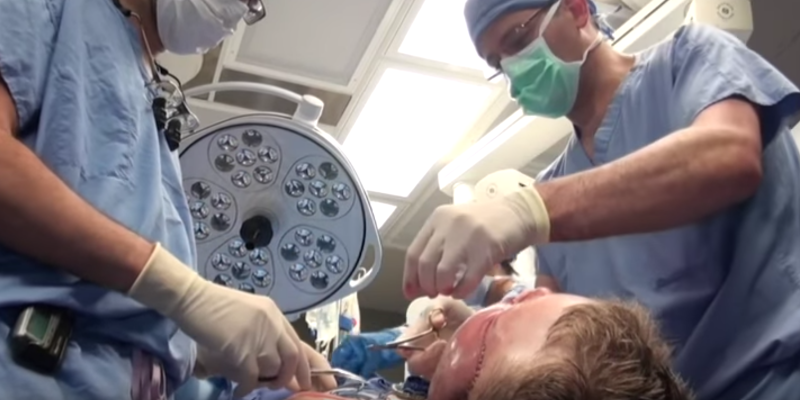 Through a highly complex, 56-hour surgical procedure involving a whole team of doctors, Andy would effectively receive the entire lower part of Calen's head. The transplant included the nose, cheekbones, whole jaw, chin, lips, cheeks, and even teeth. The muscles and nerves also had to be correctly connected so that Andy's body would accept the new additions. Three weeks after the operation, Andy took his first look in the mirror. 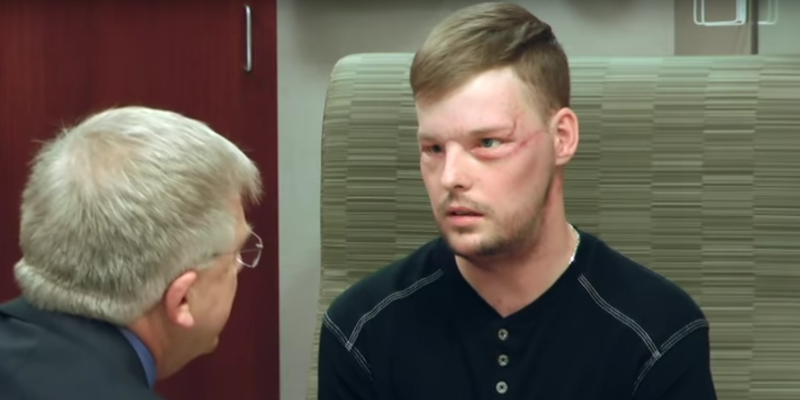 Although the swelling hadn't entirely subsided, his conclusion was unambiguous: it "far exceeded my expectations." He's undergone months of speech and physical therapy, plus he'll have to take medication for the rest of his life, so that his body doesn't reject the transplant. Meanwhile Calen's family got in touch with Andy to share their experiences of Calen with him. Andy was touched to learn about the two men's shared love of outdoor hobbies. He began to feel that in a way, through Andy's activities, part of Calen would be able to continue enjoying them as well. Calen's widow Lilly, too, is glad and relieved that she will be able to show her son how something positive emerged from his father's deed. The result eight months after the procedure is indeed truly overwhelming. Andy and Calen's connection isn't just the story of the extraordinary possibilities of modern medicine. It also tells how two connecting tragedies produced one unexpected outcome: healing and hope.